I love jackets. I am a jacket connoiseur and whether it is a light wind shirt or a heavy duty down parka I love trying on jackets, feeling the fabrics fit and cut and seeing all the features. I really can't get enough of them and now that every outdoor company is throwing in outrageous colors it is even better! This is the mother of all technical backpacks. I would describe this pack as comfortable, versatile and feature rich. Heavy loads are no problem, stripping weight is no problem, carrying a rope, ice tools, crampons and all the usual alpine/ice gear is no problem and even skis can be carried by the Black Diamond Mission 50. Every climber has a similar story of their early days...driving home late after climbing with forearms burning thinking of the problem or route that shut you down go after go. I remember it like yesterday. Working at the Tallahassee Rock Gym was a privilege and climbing there was a blast. Gloves. I don't think there is a more important piece of gear for winter activities than gloves. Your gloves need to be warm and dexterous but they also need to be comfortable and dry. The perfect glove, I have found, does not exist, but there are many good options for all around use and only a few suitable for specific activities like ice climbing or skiing. Alpine climbing at its finest. High elevation, wind, little sun, cold temperatures, it all combines to make an epic day on the mountain. My first day out this season was up to the high alpine of Rocky Mountain National Park in the Longs Peak Cirque. We started at the Longs Peak Trailhead parking lot at 6:20 am and didn't return until about 4:30 that afternoon. I love jackets. I am a jacket connoiseur and whether it is a light wind shirt or a heavy duty down parka I love trying on jackets, feeling the fabrics fit and cut and seeing all the features. I really can't get enough of them and now that every outdoor company is throwing in outrageous colors it is even better! Softshells are definitely my favorite and a good shell is hard to come by, but for my money Mammut has some of the best outerwear you can find. From Haglofs and Patagonia to Mountain Hardwear and Marmot no one has a better pant than Mammut's Castor Pant for ice and alpine adventures and now I have found a jacket that might be at the same level and is rivaled by only a select few. I was skeptical about the Parinaco from Mammut at first because of the hybrid fabric mix, but the Mammut Parinaco jacket is extremely comfortable, protective and warm. I have always loved softshell jackets. They just seem to be fit for almost any activity from running to ice climbing to skiing. The fabrics are incredibly breathable but can still be waterproof and windproof and they stretch to fit any activity and for ice climbing I believe softshells are the end all be all, save for maybe high alpine summits and Everest type conditions. I was always against hardshells for just cragging because they are loud, don't breathe quite as well and typically don't stretch as well as a softshell. The Parinaco from Mammut has taken almost every problem I have with a hardshell and used Schoeller C_Change fabric to better the jacket where typically only a softshell would do for the job. First, Mammut's DryTech waterproof fabric is impressive. The fabric is technically hardshell, but stretches slightly and is windproof and waterproof. The fabric is a little heavier than most, but it is supple and moves with the body during active times like hiking or ice climbing. The fabric also seems to be a bit more durable than the typical Gore-Tex Proshell or Activeshell outerwear. I thought at first this might be an issue because I would still need to layer, but the bulk of the Parinaco was unnoticeable with just a couple base layers underneath and the jacket was especially warm. The Schoeller C_Change fabric supplements the DryTech fabric by being more flexible and much more breathable for controlling body temperature more accurately. The C_Change panels on the jacket are very stretchy and they are placed precisely where you need that stretch. C_Change also does its job very well in regards to warmth. I was dumb founded, as i have used a dozen different jackets to ice climb, both days I have been out ice climbing with this jacket the Parinaco has been the warmest one I have ever worn, hands down. I didn't think it was really possible for a hybrid shell jacket to accomplish this without insulation, but it has. I was very impressed with the warmth of the jacket. The features on this jacket are impressive as well. Two front pockets (chest high above harness) and a bicep pocket round out the outside storage of the jacket and a removable powder skirt is on the jacket as well. The cuffs can be adjusted and the front main zipper is two way. The hood is large enough to fit over a helmet and there are two pull tabs to adjust the hood. There is also a pull tab at each outside hem that let you cinch down the bottom of the jacket. The Parinaco also has two way zipper pit zips. The only gripe I have would be that the Parinaco does not have any traditional side pockets. The only pockets are the front chest high slash pockets. These are plenty big and perfectly functional, but you don't have two pockets that you can just put your hands in. Kind of strange. Also, the jacket i have is a large and I am 6' 2" 185 lbs. It fits great. All in all the feature set for this jacket is very nice and the quality construction is impressive. I would recommend this jacket to anyone looking for a very warm and durable ski or ice climbing jacket. Whether you are climbing WI5 in the Canadian Rockies or running dawn patrol in Colorado this jacket has everything you could want or need. This is the mother of all technical backpacks. I would describe this pack as comfortable, versatile and feature rich. Heavy loads are no problem, stripping weight is no problem, carrying a rope, ice tools, crampons and all the usual alpine/ice gear is no problem and even skis can be carried by the Black Diamond Mission 50. This pack really does everything you need it to do and more. I highly recommend it for everything from high alpine mountaineering to ice cragging in Ouray, CO. I have always be a proponent of Black Diamond packs. Whether it is the old school Bullet or the tried and true Sidewinder I have always found Black Diamond's packs to be comfortable and feature rich. Black Diamond always seems to be able to put in the little extra features without over engineering the pack or making it a porker. One of my favorite Black Diamond packs was the Predator (circa 2007 -2008 ish) and this pack had it all; ski carry, rope strap, external crampon pouch, helmet trapper on the lid and a back panel and internal stay that made the pack comfortable even with 40+ lbs. loads. I really didn't think there would ever be a better pack for ice/alpine climbing. Low and behold Black Diamond blew that notion out of the water this past year with the Mission 50. It has everything the Predator had plus a better carrying system and side entry zipper (no more helmet trapper though...sad face). I have to admit the first chance I got to use this pack was for ice climbing in the Long's Peak cirque and I was worried about the long hike and how the new pack would perform. We carried in a good amount of gear and of course the hike was a slog. The Mission 50 was incredibly comfortable and shouldered the load very well. The main storage tunnel is cavernous and with the side entry zipper you can access pretty much anything with ease. There are compression straps all over the pack for attaching more gear, lifting shoulder straps and cinching down certain parts of the pack. All the zippers are water resistant and the top lid pocket is big enough to fit lunch a camera and an extra pair of gloves. As always Black Diamond has done an incredible job providing an external crampon pouch. I love this feature and it makes things so much easier at the end of the day to put my wet crampons on the outside of the pack to dry before I even get back to the trailhead. The ice tool PickPocket slots are the same as well and hold tools perfectly. The only complaint here is that the bungee near the top of the pack that wraps around the handle of the tool is not a bungee and therefore does not stretch much. It is kind of difficult to get them wrapped around my Viper and Rage ice tools. Lastly the pack is pretty lightweight for what it does. The carry/fit system combined with this makes for a great hiking pack. You can even pull off the top loader lid and the hip belt to slim down the pack to a summit bid rig. Very cool. If you want a mountaineering pack for high alpine summits and ice cragging look no further than the Black Diamond Mission 50. The Tallahassee Rock Gym gave me my start in climbing and was the driving force in my early climbing years. Every climber has a similar story of their early days...driving home late after climbing with forearms burning thinking of the problem or route that shut you down go after go. Meeting up with friends at the gym, even in the middle of the Florida summer heat, to climb some nasty slopey boulder problems. Taking my first whipper on the lead wall and getting right back on to finish the route. I remember it like yesterday. Working at the Tallahassee Rock Gym was a privilege and climbing there was a blast. There was always an amazing sense of community and togetherness. Climbers would help each other out with a spot or beta and everyone was so enthusiastic about climbing. I started the FSU Climbing Club with two close friends, Dustin and Mike, and couldn't be happier about my time at FSU and the Tallahassee Rock Gym. Going on climbing trips to Foster Falls and Obed as well as the Triple Crown are memories and experiences I will never forget. This gym is genuine and I really do miss it. I need to get back there sometime soon. Support their cause and spread the word. This gym is worth it! Gloves. I don't think there is a more important piece of gear for winter activities than gloves. Your gloves need to be warm and dexterous but they also need to be comfortable and dry. The perfect glove, I have found, does not exist, but there are many good options for all around use and only a few suitable for specific activities like ice climbing or skiing. The Outdoor Research Stormsensor glove is definitely a glove that fits in the all around category. This glove does pretty much everything very well. I have used it hiking, ice climbing and snowboarding and the glove performed quite well in every application. It breathed well during the hike, but was warm enough once in the alpine when I wasn't moving as much and so I wasn't having to change gloves just to regulate temperature The leather palm and fingers are also very tacky and provided a good grip while ice climbing and fooling with climbing gear, ropes and cordage. It did so well that it may be my new go to workhorse glove. There is no Windstopper or Gore-Tex waterproof shell and not even Primaloft or Polartec fleece, but what it lacks in mainstream name brand technologies it makes up for in design, functionality and wearability. Oh and it has some voodoo magic that lets you use touch screen devices like smartphones and tablets while still wearing it, more on that below. The Outdoor Research Stormsensor glove doesn't have a lot of frills. The glove is simple by design with a softshell outer and fixed fleece lined interior. The softshell is highly water repellent, the fingers are anatomically pre-curved and the fleece lining is extremely nice next to skin and warm. I used this glove mostly while ice climbing and the pre-curved fingers along with the tacky leather palm make for a great ice climbing glove. It shed water quite well and the low bulk of the glove combined with the suppleness of the leather made it stand out as a dexterous glove for fooling with carabiners and cordage. The softshell breathes incredibly well and during my hike into the high alpine of Rocky Mountain National Park I rarely noticed I even had the glove on. For all the simplicity and functionality of this glove there is one main feature that is overlooked. Outdoor Research uses a technology called TouchTec for the entire palm and finger portion of the glove. Outdoor Research uses a nanotechnology on the leather to make the gloves completely compatible with touch screen electronics. I used the gloves on my android phone in the parking lot to start a hiking tracker app for the hike into Longs Peak and stopped the same app once we had reached Chasm Lake at about 10,500 feet after 4.5 miles. The Stormsensor gloves were extremely responsive and accurate on the touch screen display. I used them on an iPad at home as well and the accuracy was just as good. I don't know how much you would need the use of the TouchTec feature, but if you were to use this glove while skiing or snowboarding I could see this glove as a necessity on the chair lift. The best part about the TouchTec is that it covers the entire palm and every inch of the fingers. That means you aren't limited to just the tip of your index finger like some other gloves are. You can pinch to zoom, use either hand or use whatever finger you want. This glove truly has great alpine function with a new technology that makes the little things easier to do. Angry Birds on the lift or WI5 pillars in the Park, you're covered either way. Alpine climbing at its finest. High elevation, wind, little sun, cold temperatures, it all combines to make an epic day on the mountain. My first day out this season was up to the high alpine of Rocky Mountain National Park in the Longs Peak Cirque. We started at the Longs Peak Trailhead parking lot at 6:20 am and didn't return until about 4:30 that afternoon. The hike was a pretty grueling 4.5 miles up above treeline and into the cirque that is formed by Mount Meeker, Mount Lady Washington and Longs Peak. I had never been up to Longs Peak and so I did not know what the area was like. Much of the time I felt like I was heading into an area from Lord of the Rings because of the vast expanses of high alpine tundra and once we turned the corner to enter the cirque I was impressed by the sheer size of Longs Peak and the surrounding mountains. I went up there to climb The Flying Dutchman with my friend Mike, but after seeing the lack of snow for the walk off we decided to climb some of the shorter and less committing routes in the area. The hike was strenuous, but the views were amazing and the climbing was incredible. I was excited to get out for my first day of the season for a couple reasons. First is I love ice climbing. I think it is so exciting to hike into the middle of nowhere, find a beautiful frozen strip of water and hack away at it for a few hours. The serenity is renewing and being out in the alpine winter with a climbing buddy is exhilarating. The second reason is that I LOVE outdoor gear. I cannot get enough of it. I work in the outdoor industry and I still fawn over gear guides for climbing, biking, snowboarding and hiking every year. I was really excited to hike into the Longs Peak Cirque because I have recently gotten a couple new pieces of gear (backpack and gloves) and those gear reviews should be published soon. We first hiked all the way up to Chasm Lake to get a good view of The Flying Dutchman. After seeing the lack of snow for the approach and the walk off we decided to hit some of the shorter flows below Chasm Lake and bordering Peacock Pool. The day definitely turned into a ice cragging day, but it was great to get to a part of the Park I had never been to before. We climbed a pretty simple WI2 M3 (I think) with some meandering broken cracks, a little running water and good plastic ice up high. We also climbed an amazing smear on the southwest shore of Peacock Pool. Check out the photos below of the Cirque and the two climbs we did. I also have a My Tracks of the day for the hike into Longs Peak Cirque. Check it out as it is pretty darn accurate and you can see exactly what the elevation change, terrain and time lapse for this type of hike is. I think this is a very cool piece of technology to use when hiking into a new place or just wanting to document terrain and time while hiking. It is really amazing because it just overlays onto Google Maps and is online in my Google Profile. Very cool. Edelrid has been around for about 150 years. It was founded originally by Julius Edelman and Carl Ridder, a mountaineer and sales man and a technician that worked with braiding machines. They started with braided fishing line in the late 1800's and by 1953 they created the very first kernmantel rope. This, for obvious reasons, revolutionized the climbing industry from hemp ropes and progressed the climbing world because climbers now had the ability to climb much more difficult and committing climbs with better safety. If you fast forward to today Edelrid is one of the leading climbing companies in the world. They have mastered climbing ropes and also have divisions for adventure parks, industrial and safety. They really do lead the industry when it comes to the sport (climbing) side of the business though. Many Americans do not know much about them, but Edelrid would be comparable to a company like Black Diamond in America, but for Europeans. Edelrid produces ropes, climbing shoes, harnesses, carabiners, draws, via ferrata, camping cookware and stoves, and crashpads. Their quality is unsurpassed and the engineering in everyone of their products is outstanding. For example; they have recently come out with an autolocking tube style belay device (autolocking ATC for ~$40), 6.9mm twin ropes and a 19g carabiner. 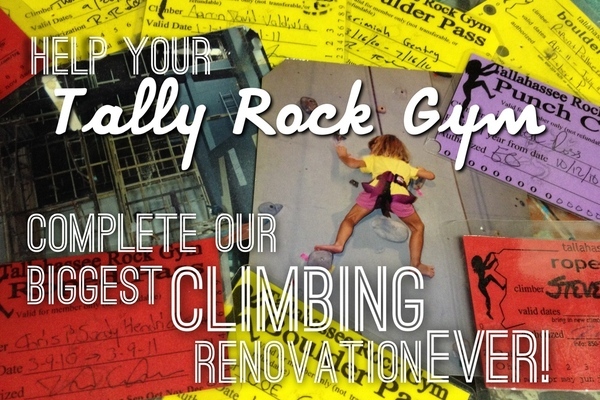 They are innovative and passionate about climbing. With all that being said, they still have their steadfast products that have been in the line forever and change very little from year to year because they are already so good. Their Eagle 9.8mm climbing rope is one of these great products. I have been climbing on Edelrid's Eagle for a couple months now and I must admit, it is a great rope. It is the perfect diameter at 9.8mm and because of the, albeit minimal weight savings, I went for the 70 meter length and I also got it dry treated and bi-color. The dry treatment and 70 meter length is so I can use it for ice climbing and the bi-color is just so nice I opted for it. The Eagle is incredibly smooth because of Edelrid's braiding process and the suppleness is better than any rope I have ever used. It fed so smoothly through my Reverso for ice climbing and through my Grigri 2 for sport climbing in Boulder Canyon that I think there is finally a winner against the BlueWater Eliminator (one of my personal favorites). The overall durability of the rope seems to be great. I have only used it a few times sport climbing and once ice climbing, but I haven't noticed any frays, dead spots or issues otherwise. I have climbed on the sharp rock of the Poudre Canyon and the alpine ice terrain of Longs Peak and I am looking forward to many years of use for this rope. I really can't say enough about the quality of this rope. I am really encouraged about Edelrid coming to the USA and I hope they get bigger and bigger over here. Edelrid makes a great rope and the Eagle 9.8mm is probably their best all around work horse. If you need a new rope, get an Edelrid. This is a little late posting, but I went to Joe's Valley back in October. I went with a group from Inner Strength Rock Gym here in Fort Collins for a 3 day weekend. A friend doing a PT rotation in Moab met us for one of the days as well. The trip was great and everyone climbed very well, I actually finally got Planet of the Apes and a couple V7's and a V8. All in all a great trip. Not much to report on the actual trip so take a look at the pictures below and leave any questions in the comment section.